Go Contigo Water Bottles – I first came across this brand from Heather and was intrigued by it. I’ve had the usual bottles from Nuun and Hammer Nutrition but they all leak. No matter how tight I close it, water always manages to leak. These bottles are AMAZING! They’re made with ultra-durable, shatter resistant plastic and the lids have AUTOSEAL® technology which is leak and spill proof. I have the AUTOSEAL® Grace in 24 ounces and 32 ounces as well as the Shake & Go® Fit Shaker Bottle. I also purchased the coffee mugs but that is another story. Late to the party here but I am obsessed with Nuun Kona Cola. I am bummed out the flavor is being discontinued so you bet I am stocking up! ChicoBag from REI. Mainly I have been using this bag when I go to the gym. I change at home and just take other stuff that I need (water bottle, headphones, towel, etc). I also have an Apera bag but sometimes that is too bulky so the ChicoBag is the perfect size. They’re made of durable and washable fabric, stuffs into a built-in pouch and unstuffs to a full-size shopping bag, and can hold 40 lbs. I’m loving my new Bondi Band ( I won one) and I want to get more! I’m working with them on a giveaway for my blog…stay tuned. I’m also loving our mild winter, altho that’s coming to an end this weekend. And I’m loving all the food and cookies this time of year! Thank goodness for running! I have a few bands you can have? Why don’t you send me your address and I can send them to you. I think i have 4. What is your secret to having companies work with you? I’ve worked with 2 companies and it felt like pulling teeth. I’m bummed about the weather. Definitely not looking forward to my long run on Saturday in cold weather. 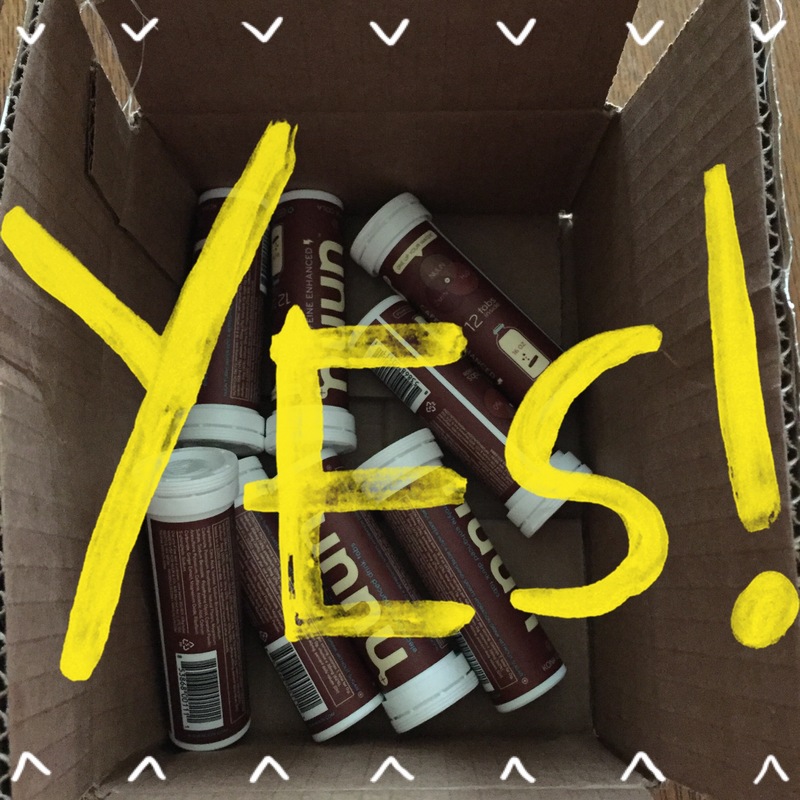 So glad you saw Contigo on my site and tried it out! They are so great! Yes they are! Thank you.